The Cr-48 is the test notebook Google designed for the Pilot program. It's the first of its kind. It's ready when you are, booting in about 10 seconds and resuming from sleep instantly. There’s built-in Wi-Fi and 3G, so you can stay connected everywhere, and a webcam for video chat. 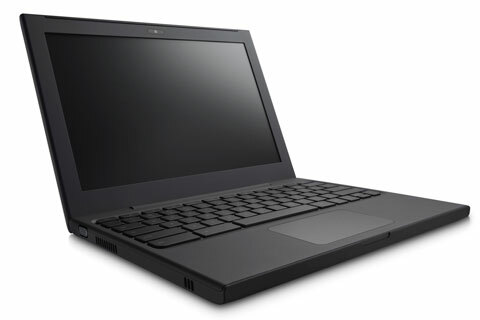 The vibrant 12-inch LCD display, full-size keyboard and oversized touchpad let you enjoy the web comfortably. And at just 3.8 pounds with over eight hours of active usage and a week of standby time, it’s easy to take along for the ride. The Cr-48 is available exclusively to participants in the Pilot program. The CR48 runs Google's Chrome Operating system. None of your files are stored on the PC, they're all stored in the cloud. To keep it synced with the cloud, it includes a wifi connection, and a verizon 3G modem (which comes with 100MB/month for 2 years, for beta testers). The CR-48 has no built in facilities for hooking directly to a printer, instead, it prints via Google Cloud print. Currently with cloud printing, you need to have a computer hooked to your printer that is currently powered on. This page was last edited on 12 April 2011, at 14:27.